Virpi Korhonen, Managing Director, Package Testing & Research Ltd. The idea for a Packaging and consumers working group emerged during the 2009 IAPRI event at Clemson University. A LinkedIn group was formed that currently has over 40 members. At the 2011 event in Berlin an inaugural meeting was held that was well-attended. Potential research collaboration was explored. A well-attended meeting during the Cal Poly conference followed. Currently, options for a special issue of Packaging Technology and Science are explored. Although there is a steady stream of contribution at IAPRI events on human factors research and market research which focused on the touch points of packaging and consumers/users, the scientific packaging world has been engineering and technology-dominated. Also in scientific journals on packaging, user-centered topics form a minority of the contributions. 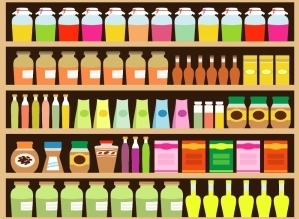 This working group tries to bring together those researchers who are working on the relationship between packaging and people, in the belief that they share a common interest as well as common research methodologies. By forming a working group we strive to stimulate collaboration and to increase quality and quantity of the research done on packaging and consumers within the IAPRI community. Human factors, or ergonomics aspects, e.g. legibility of labels on medicine packaging, or openability of (tamperproof) packaging. Marketing research and consumer views, e.g. development in eye-tracking methodology, or consumers' views on sustainable packaging.